Cut down the number of issues on PocketMine/PocketMine-MP by 1/3! DeathRaven359, Jankirby, fycarman and 9 others like this. DeathRaven359, Jankirby, Daviddan and 1 other person like this. As a free software developer and as a professional developer (that's what I think of you), how much do you like MCG on a scale of 0 to 9? I'm curious. DeathRaven359 and Daviddan like this. 1, because his plugins aren't secure enough to be un-share-able and un-decode-able. PocketMine is 40 months old! DeathRaven359, fycarman, Survingo and 10 others like this. Oxygen is required to oxidize some substances to complete aerobic respiration, to release a certain substance that is necessary for more respiration. If you don't have oxygen, you can't carry out aerobic respiration, and you have to consume a substance to carry out anaerobic respiration. This kind of consumption is called oxygen debt. But after some time, that kind of substance gets used up and anaerobic respiration cannot continued. Meanwhile, lactic acid is accumulated, and it is toxic. If it gets too concentrated, the muscles would fatigue. Seriously, why can't we just celebrate? It is a good thing that PocketMine is continuing. DeathRaven359, fycarman, Survingo and 3 others like this. DeathRaven359, fycarman, Survingo and 7 others like this. And did you see the pull request? You've always said that you wanted to "leave" this community. But it has been over a month since you said that, yet you're still here. What do you think is the reason you're still here? Would it be the drive to fix everyone's mistakes, seeing that how wrong everything is? Actually, if @shoghicp didn't add me as an outside collaborator, I would have already left. DeathRaven359, Daviddan and PocketKiller like this. so you can't know he is a member of it. @PocketKiller Not necessarily true, he could've been granted permission to ONLY that repository, via collaborator invite. DeathRaven359, fycarman, Nawaf_Craft1b and 8 others like this. DeathRaven359, fycarman, Nawaf_Craft1b and 2 others like this. i thouht you deleted HereAuth just then.... but then my brains kicked in, and the "/issues/18" doesnt exists any more. Have you ever lost in an argument? No, because I always pick the side that I believe to be correct. Of course, unless I am in a debate competition and am forced to pick the side I disagree with. HereAuth v1.0-Beta.163 has been released: https://t.co/LGUnAPh0h4 - Please read the release notes before using. Nawaf_Craft1b, iJoshuaHD and Vaivez66 like this. Damn, I have never seen anyone who writes so much in the information. PEMapModder, Vaivez66 and PocketKiller like this. HereAuth BETA RELEASE HereAuth v1.0-Beta.136: MySQL support https://t.co/0jkd23p58l Changelog and phar download can be found in the link. fycarman, Nawaf_Craft1b and MichaelM04 like this. HereAuth Beta Release v1.0#82 https://t.co/bOCy9p6NGW Please read ALL the information in the release text before using the plugin. fycarman and Nawaf_Craft1b like this. 1. I don't do any paid work. 2. I do not work on any specific servers anymore. That's an good attitude! Keep it up! fycarman, Nawaf_Craft1b, Hittmana and 1 other person like this. Did you update HereAuth or is it the same? I have released the second beta. Ok I will get it now. Can u make me a plugin? Also when you kill an Enderman, it should either drop a saddle or unused spawn egg(like 383:1)(looks like chicken spawn egg) and It should have an item flint and rename it eye of ender and should be the item u use to make end portal. 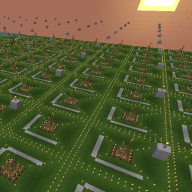 So basically creating the end in mcpe. I believe this is all possible in PHP. Request it. Create a thread.